Is hanging them for treason an alternate option? Sen. Ted Cruz (R-Texas) is slated to introduce legislation next week that would revoke the U.S. citizenship of anyone fighting or providing support to terrorist groups working to attack the United States. Cruz said he is filing the Expatriate Terrorist Act in reaction to the threat posed by the Islamic State in Iraq and Syria (ISIS). It would provide another level of protection to prevent foreign fighters from re-entering the United States, he said. 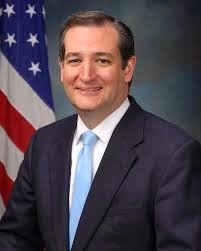 “Americans who choose to go to Syria or Iraq to fight with vicious ISIS terrorists are party to a terrorist organization committing horrific acts of violence, including beheading innocent American journalists who they have captured,” Cruz said in a statement. Sen. Rand Paul (R-Ky.) gave support to a similar proposal in a Time magazine op-ed Thursday.